The MyTemp Digital Mini Incubator is conveniently sized with only a modest 14.5” x 13” footprint. 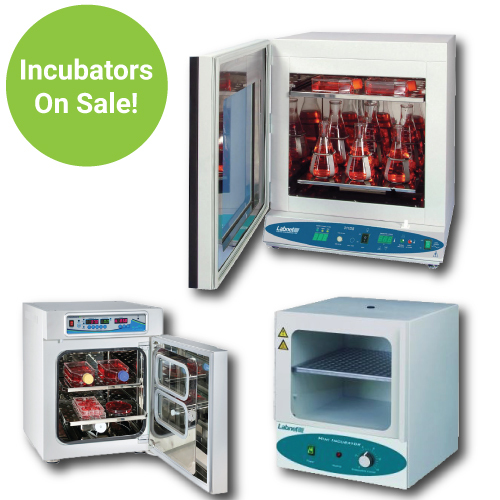 Despite the modest size, the incubator still boasts a large internal space featuring large internal chambers capable of storing flasks or even 2-Liter bottles. 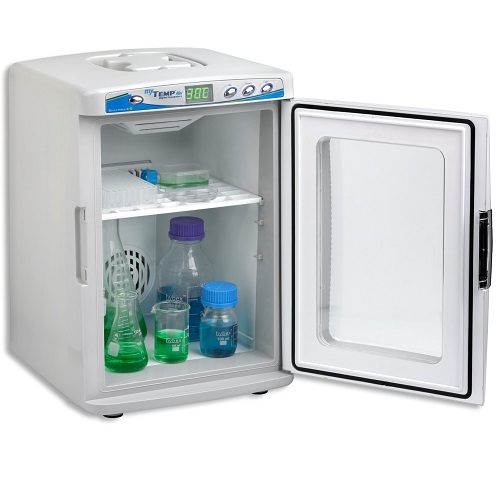 Included with the Benchmark MyTemp Digital Mini Incubator are two removable shelves that fit into the internal chamber. The shelves allow users to remove and replace them according to need, depending on what needs to be stored in the incubator. Since many labs often use an incubator in conjunction with a shaker or other equipment, Benchmark has fitted the MyTemp Digital Mini Incubator with an internal power outlet. Along with the space in the internal chamber, the internal outlet allows for installation of a small shaker, rocker, or other instrument. MyTemp Digital Mini Incubator is often paired with a Mini Nutating Rocker towards this end. * Minimum temperature is approx. 7°C in 22°C room temp. Convenient, Discreet Footprint: 13" x 14.5"